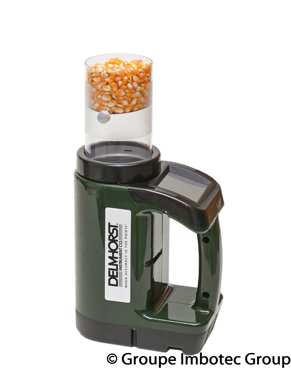 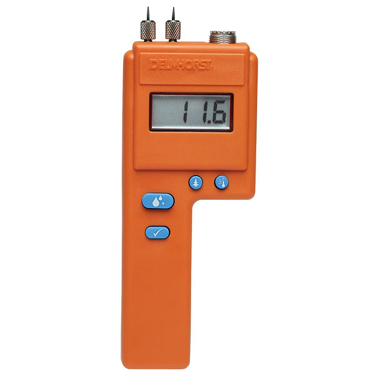 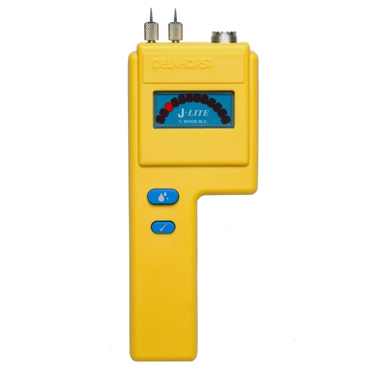 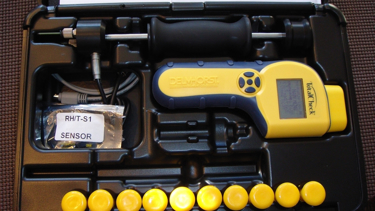 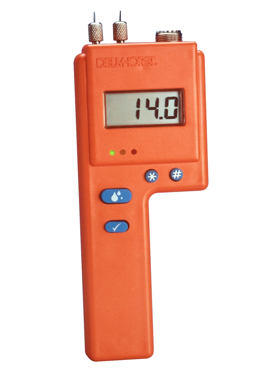 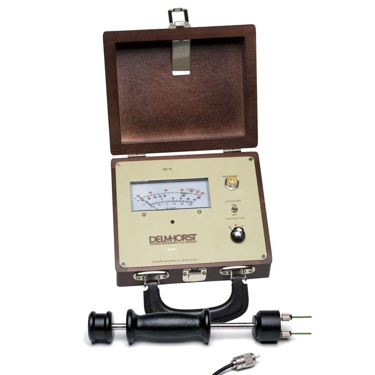 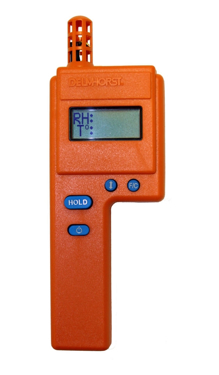 Delmhorst Moisture meters are in stock in Canada at the best prices available, even lower than in the US. 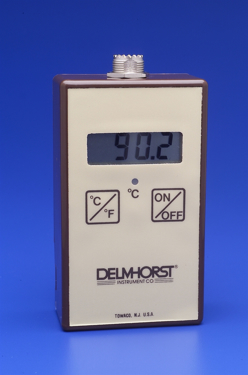 Delmhorst Moisture Meters are excellent products made in North America to measure moisture in many industries and applications. 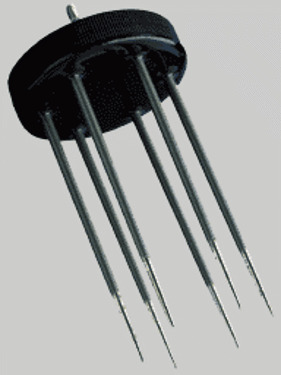 It started in 1946 with an enterprising idea. 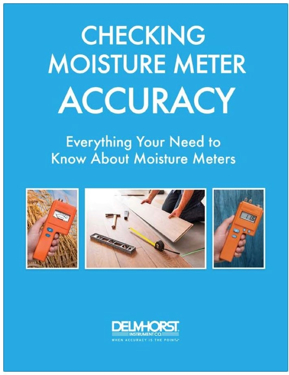 There were leaks in the roofs and plaster walls of buildings in New York City. 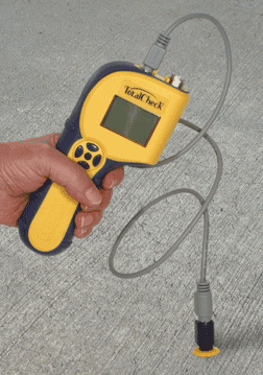 Building superintendents needed a way to identify them for repair. 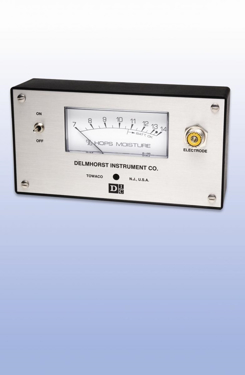 Enter Bill Delmhorst and his proprietary moisture meter. 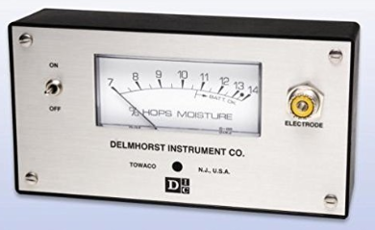 He sold it to the city, and Delmhorst Instrument Co. was born. 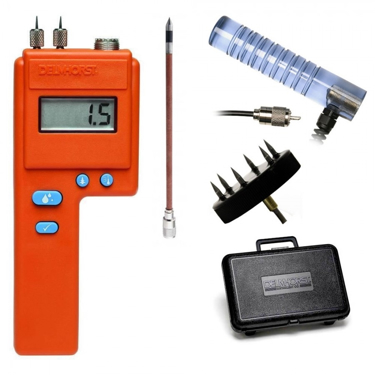 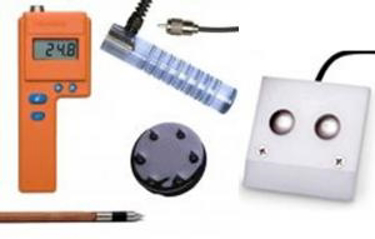 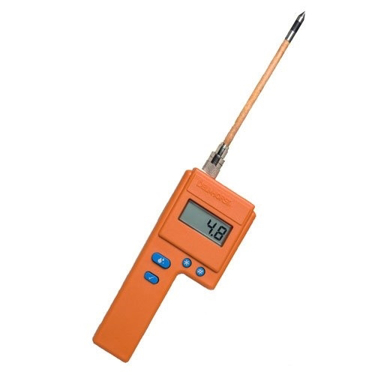 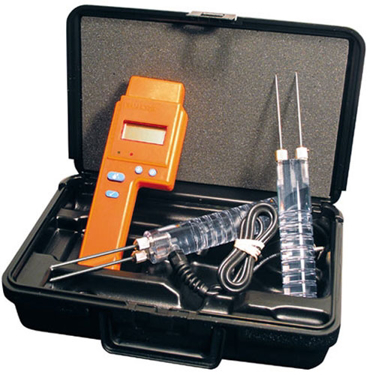 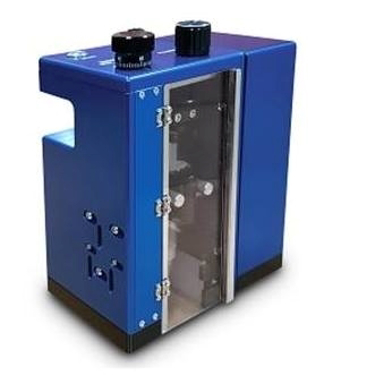 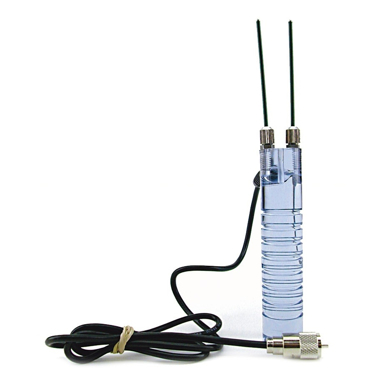 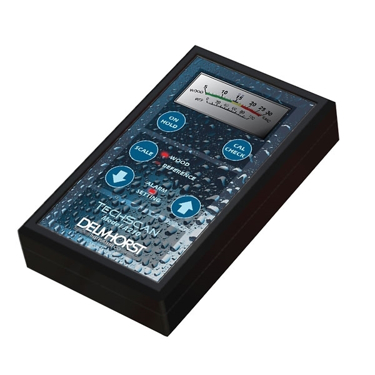 Our meters provide consistent, accurate readings about the moisture level of your product. 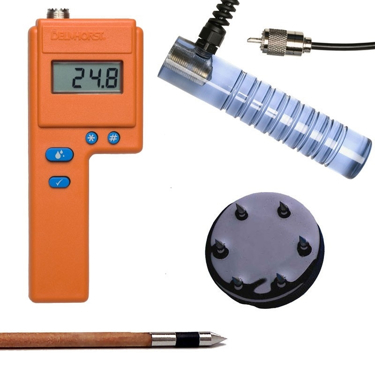 Whether you choose pin-type, or pin-free, the meters provide valuable information you need to make critical decisions. 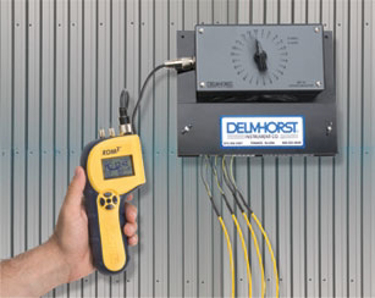 Delmhorst excels in measuring Moisture in Buildings whether the envelopes, or floors or walls. 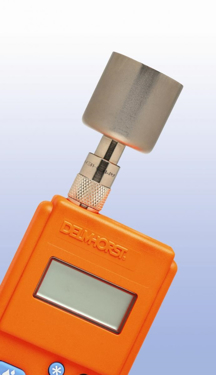 Delmhorst provides excellence in moisture measurement for Concrete under ASTM-F2170-11. 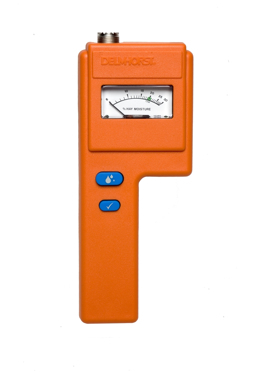 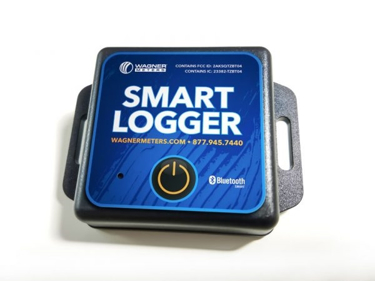 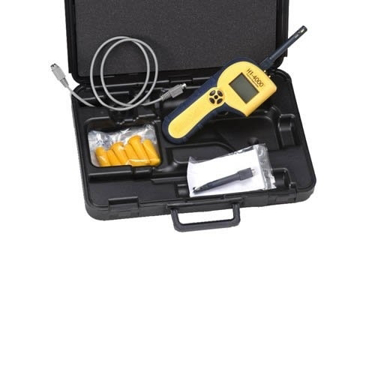 These moisture meters also measure hay, paper, leather, grain, drywall, wood, concrete, and other materials. 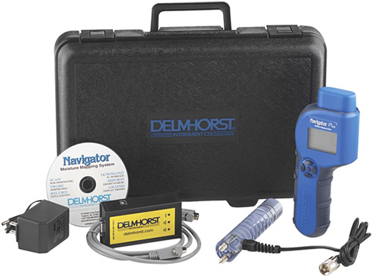 Delmhorst F-2000 18" Hay Moisture Meter Starter Deluxe Pkg. 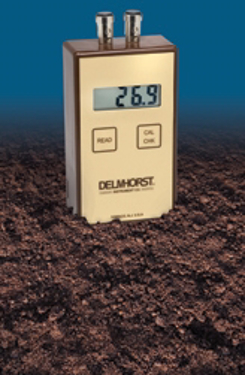 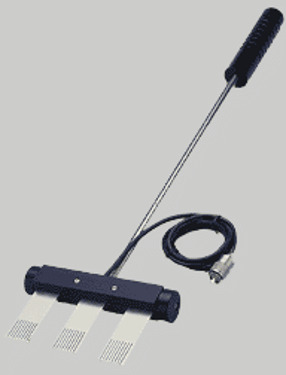 Delmhorst F-2000 36" Hay Moisture Meter Starter Deluxe Pkg. 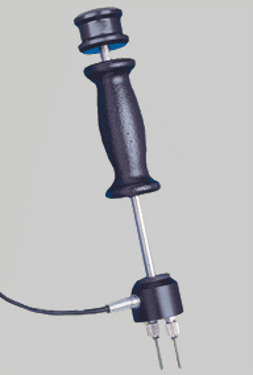 Hammer Probe, ships with 2 insulated pins, 1 1/8" penetration installed. 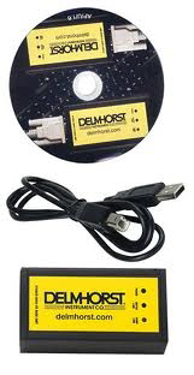 Works with most Delmhorst meters. 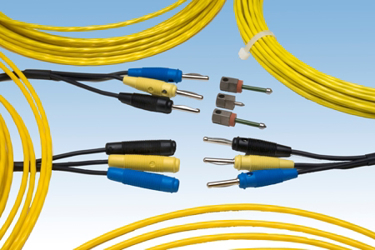 Insulation Assembly. 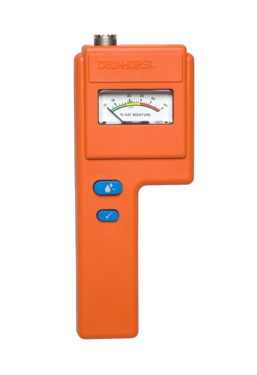 Works with most Delmhorst meters. 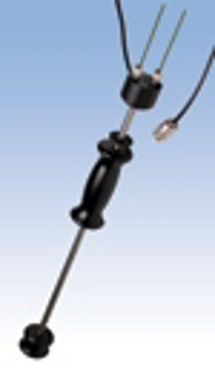 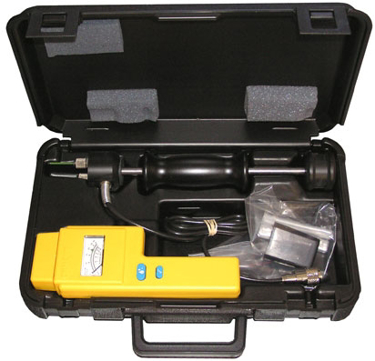 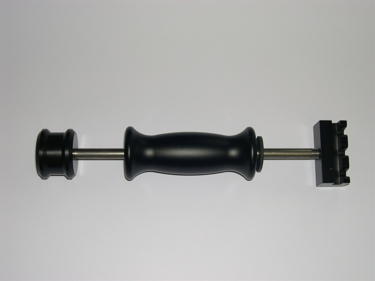 Hammer probe with two insulated pins with 1 1/8" penetration, and depth gauge. 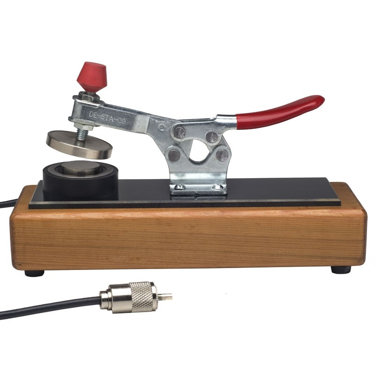 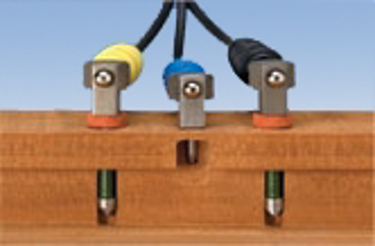 Delmhorst Gauge Block - Limits Penetration of 26-ES with 496 Pins to 3/8"
Delmhorst Gauge Block - Limits Penetration of 26-ES with 496 Pins to 3/4"
Delmhorst Gauge Block - Limits Penetration of 18-ES to 2-5/8"
Delmhorst Gauge Block - Limits Penetration of 18-ES to 2"
Has three Paper Scales making it a great choice for Inspectors, Superintendents etc. 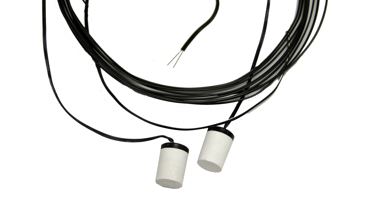 Baler Sensor only replacement for continuous real time Hay Moisture monitoring during Baling. 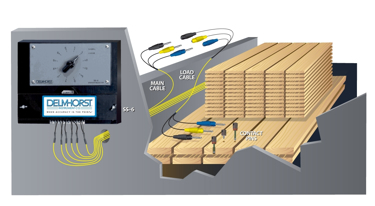 Split bale chamber sensor for use with Freeman balers. 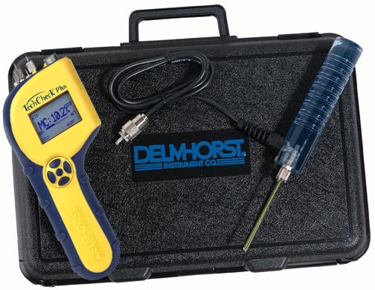 Delmhorst F-2000 10" Hay Moisture Meter Starter Deluxe Pkg. 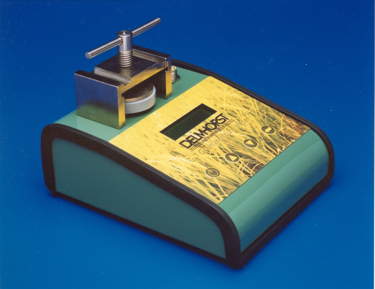 Accurate Trustworthy Hay meter for farmers looking to produce quality dry hay. 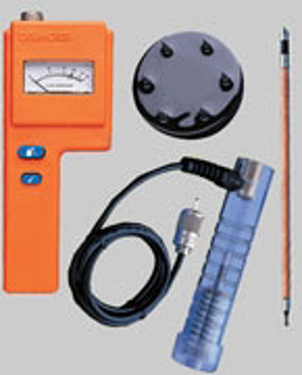 Accurate Trustworthy Hops meter to enhance quality control. 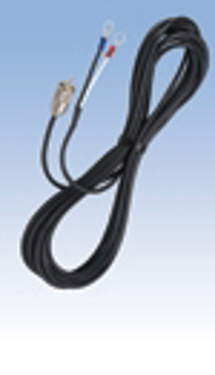 Ten Delmhorst Soil Moisture sensors - 25 ft. wires. 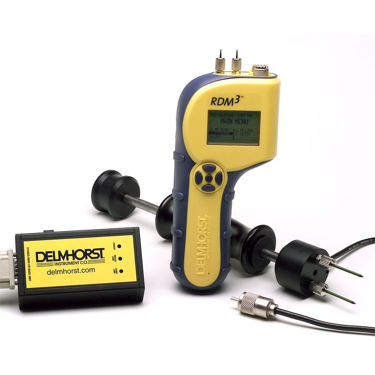 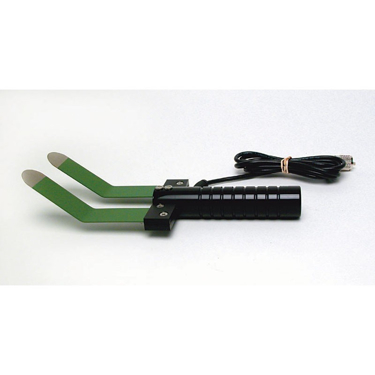 Ten Delmhorst Soil Moisture sensors - 50 ft. wires. 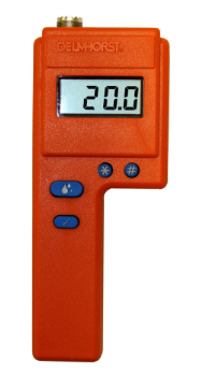 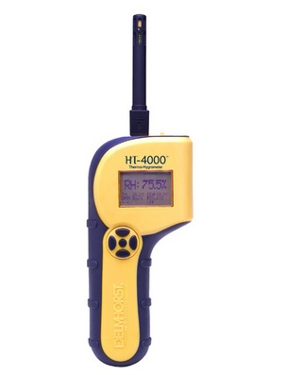 The HT-4000F is a stand-alone thermo-hygrometer for flooring installers and inspectors. 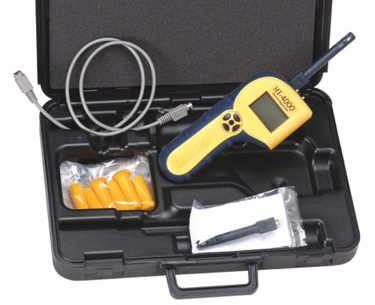 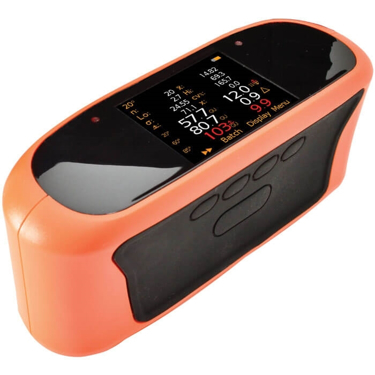 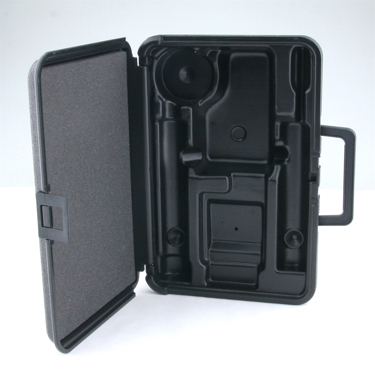 Includes HT-4000, one RH/T-S3 sensor and Hard Case. 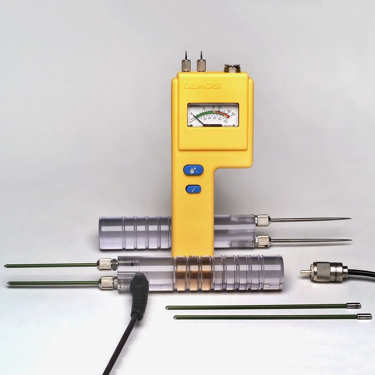 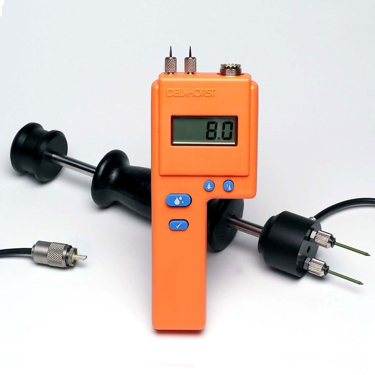 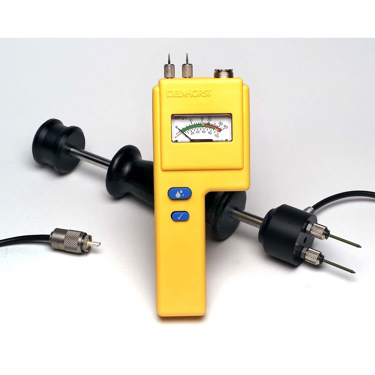 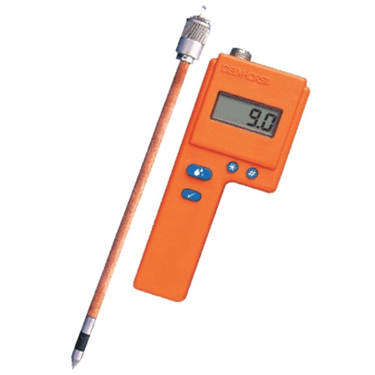 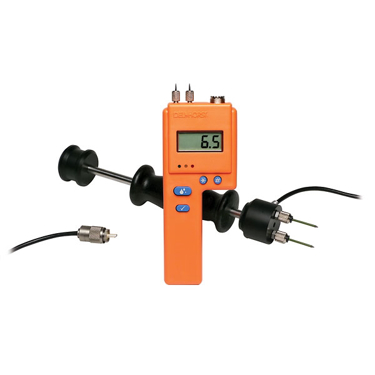 The MC-36010 can be used on any meter with a wood scale. 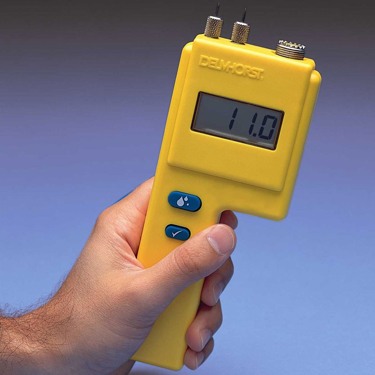 With two electrical resistance values (12% and 22%) to test your meter against, you can be sure that your readings will stand up to the strictest standards of accuracy. 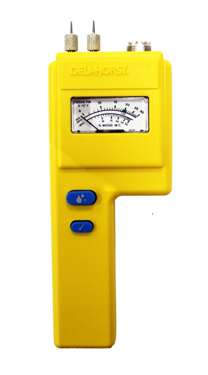 The P-2000 is an electrical resistance-type moisture meter, utilizing the relationship between moisture content and electrical resistance. 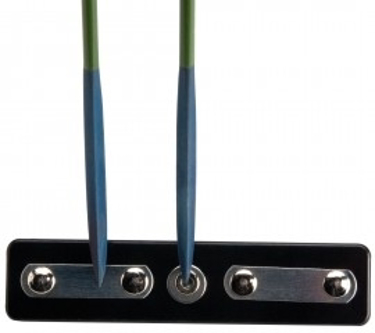 The contact pins mounted on the top of the meter are used for making direct contact with the material. 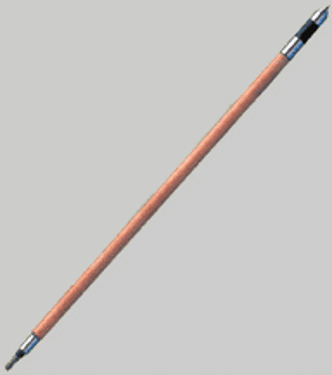 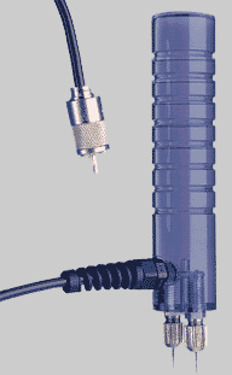 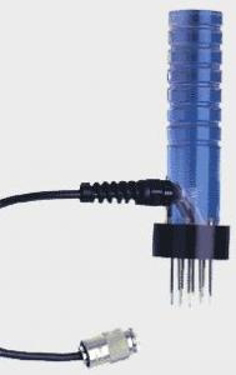 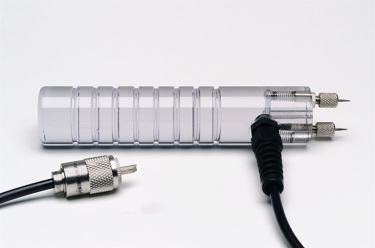 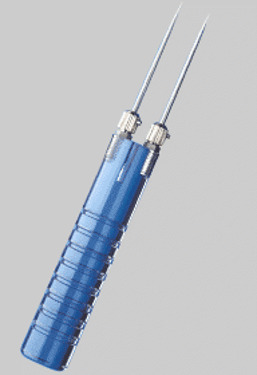 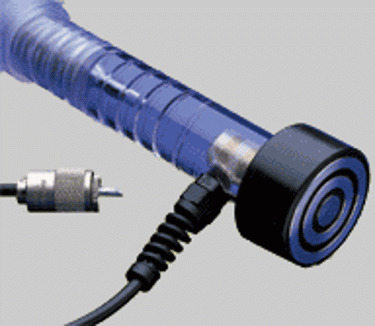 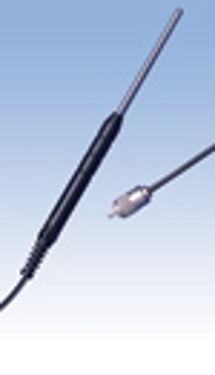 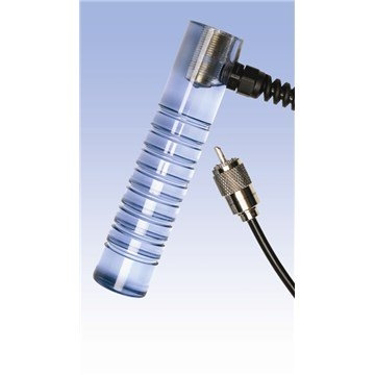 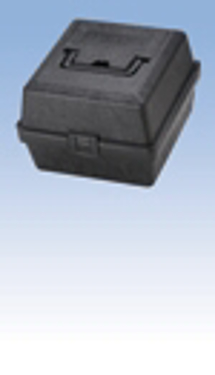 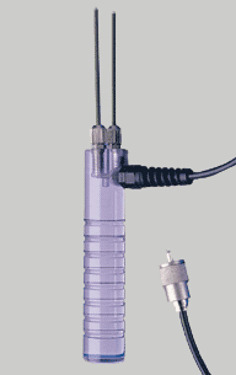 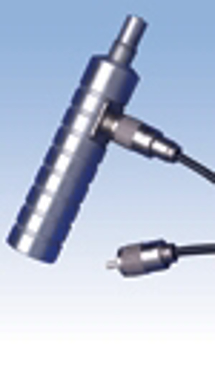 Various external electrodes are also available for specific applications. 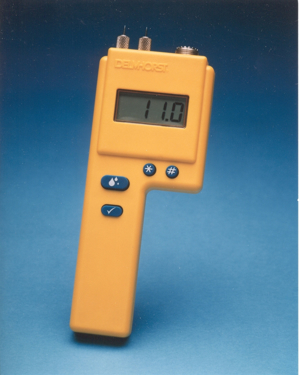 The Delmhorst MCS-2 paper moisture content standard is great for verifying that your P-2000 or RDM-3P paper moisture meters are in calibration. 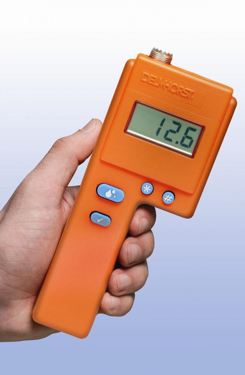 This moisture content standard is great for verifying that your P-2000 or RDM-3P paper moisture meters are in calibration. 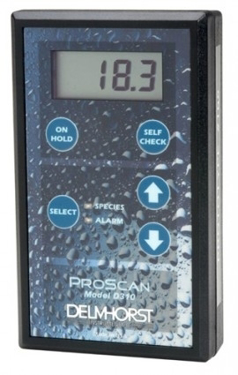 This moisture content standard is great for verifying that your P-2000 or RDM-3P paper moisture meters are in calibration. 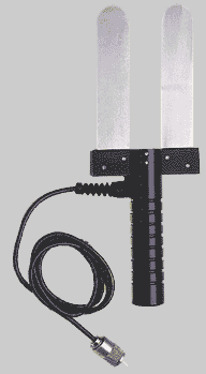 This model includes clips. 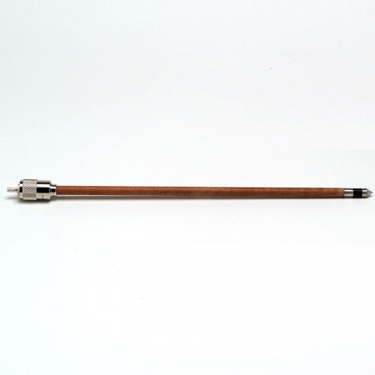 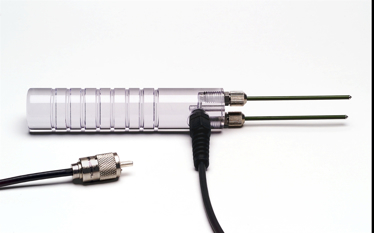 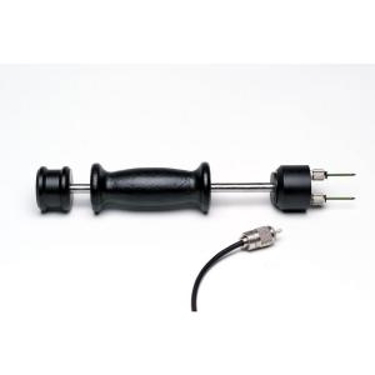 This product is a 36' replacement coaxial cable for the 1986 Bale Chamber Sensor. 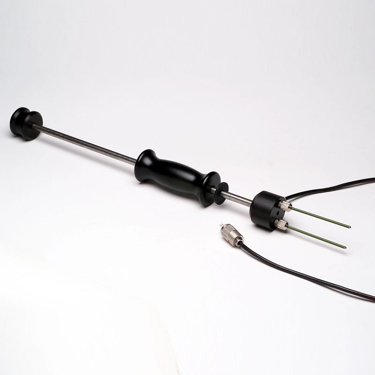 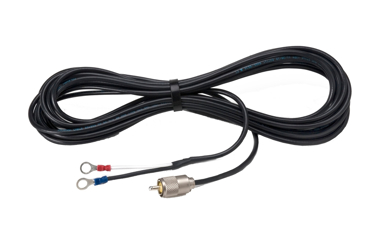 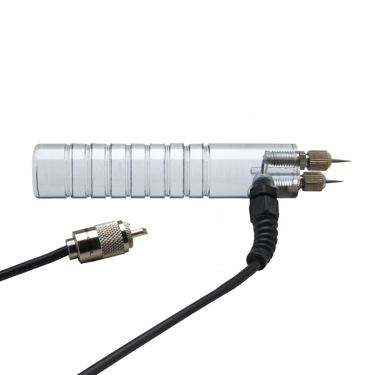 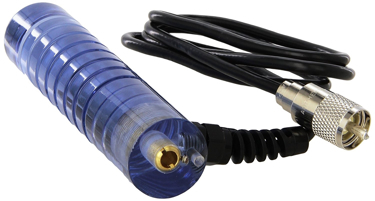 This product is a 40' replacement coaxial cable for the 1986 Bale Chamber Sensor. 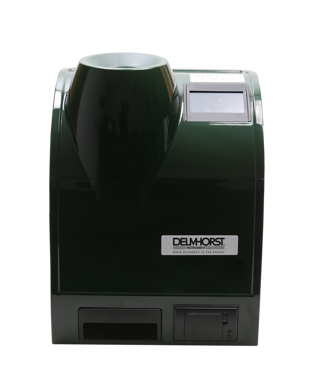 The Delmhorst MCS-4 hay moisture content standard is great for verifying that your FX-2000, F-2000, F-6/6-30 hay moisture meter is in calibration. 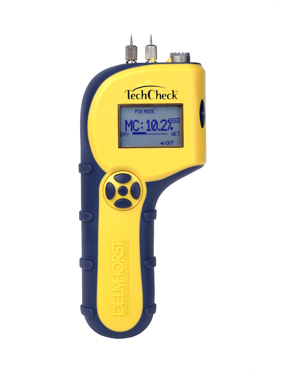 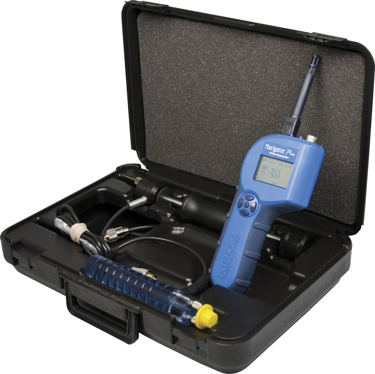 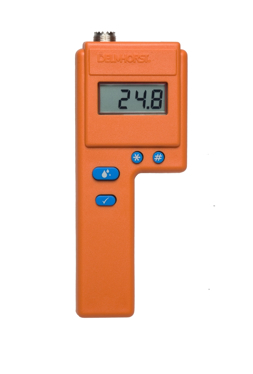 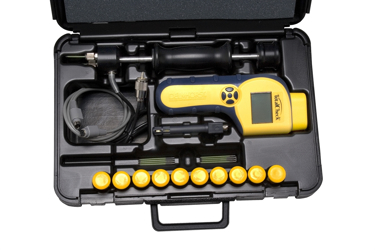 This product lets you easily check moisture levels in baled hops to assure high-quality harvest and safe storage. 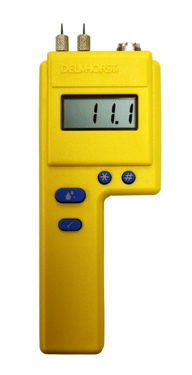 This meter has a moisture range of 7%-14% in hops. 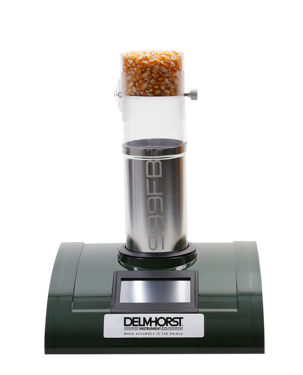 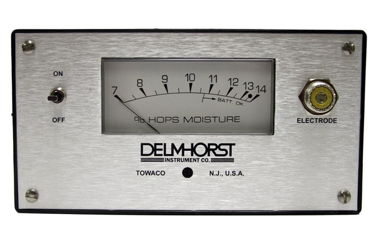 The Delmhorst G-34 analog moisture meter is an essential tool for producing and storing baled hops. 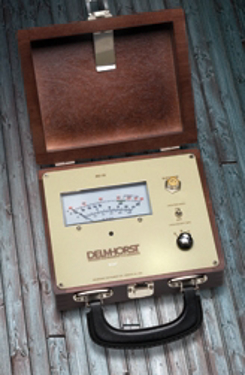 Delmhorst Digital Hops Meter, H-4, 831 Short, Case, 830-5 12" Prod. 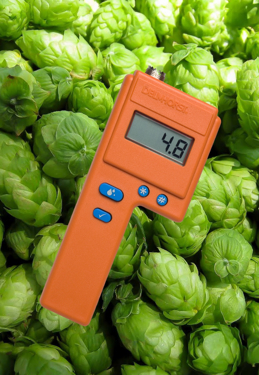 This moisture content standard is great for verifying that your G-34 hops moisture meter is in calibration. 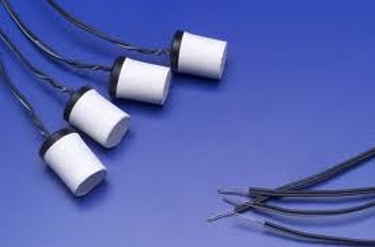 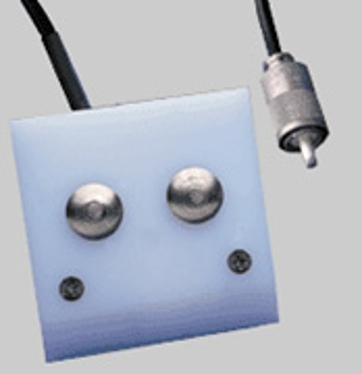 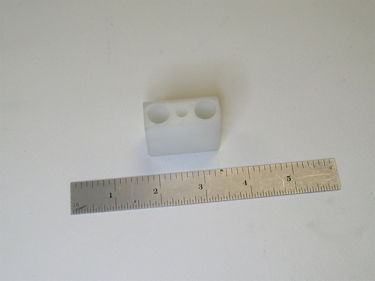 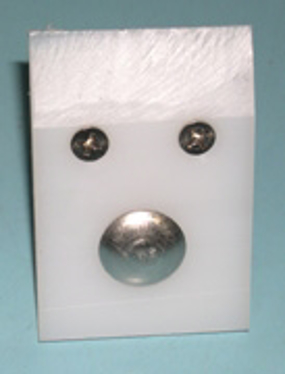 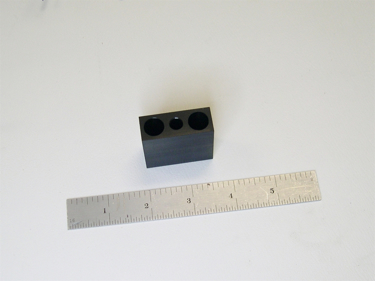 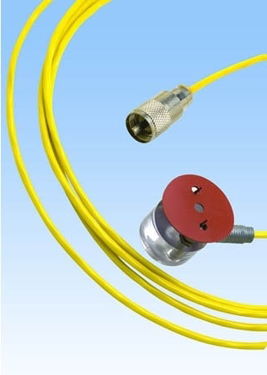 Sensor blocks are made of gypsum cast around two concentric stainless steel electrodes. 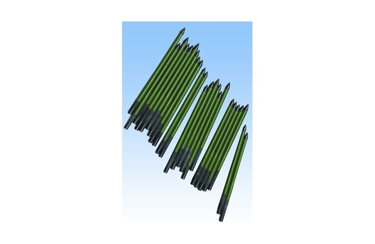 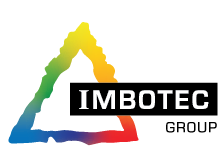 They are manufactured under controlled conditions to obtain a maximum degree of uniformity and fast reponse to soil moisture changes. 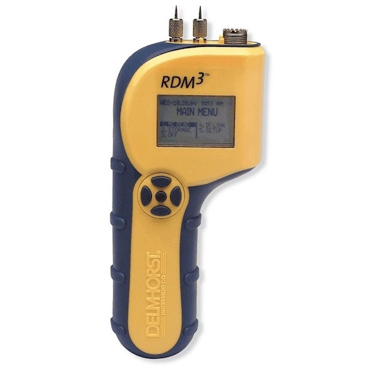 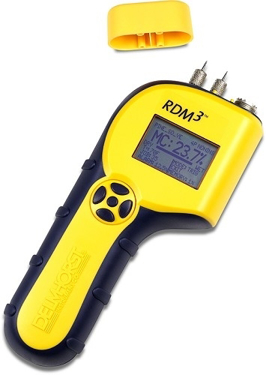 The RDM-3/DFM Flocking Moisture Meter is a handheld instrument packed with features, and is perfect for the lumber and woodworking industries. 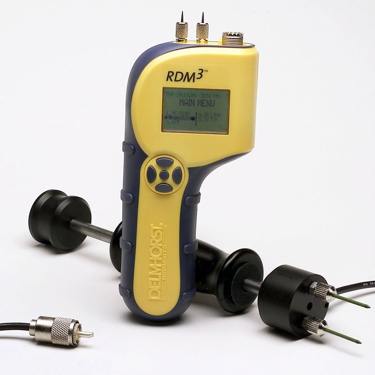 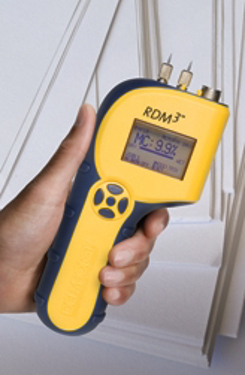 The RDM-3/DFM Flocking meter is ideal for anyone who needs to collect and analyze key statistical information. 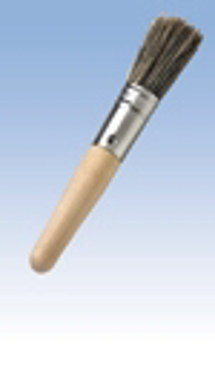 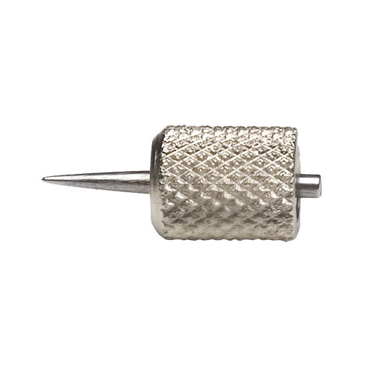 Reduces the pin damage on moisture meters by creating pilot holes in stucco. 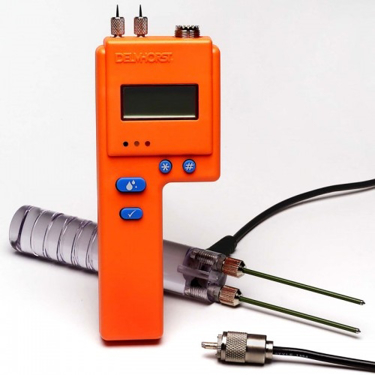 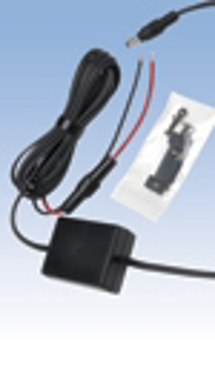 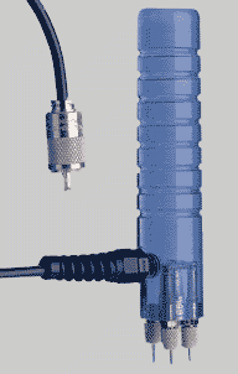 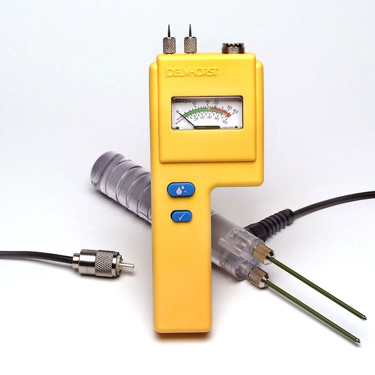 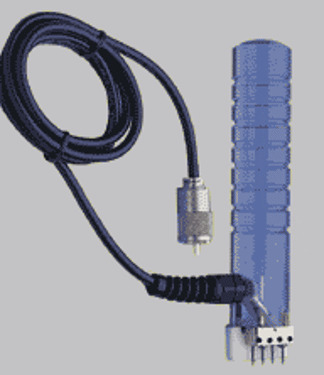 For Delmhorst Moisture Meters and 21E Electrode. 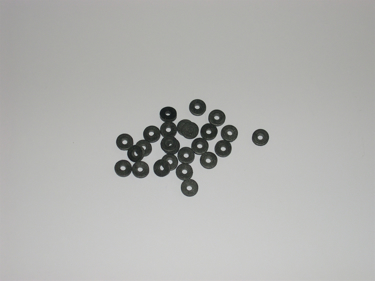 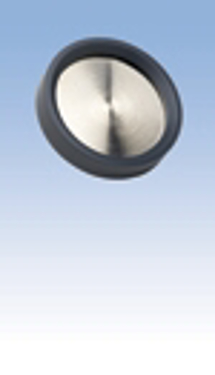 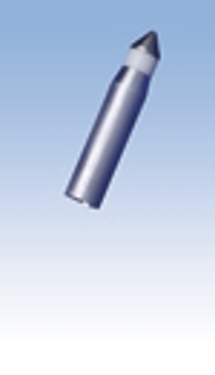 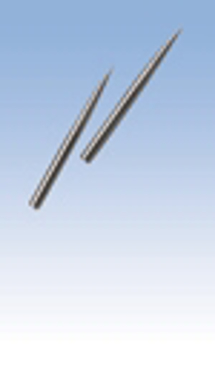 Contact pins used on 4-E package of 24 11/16-inch penetration. 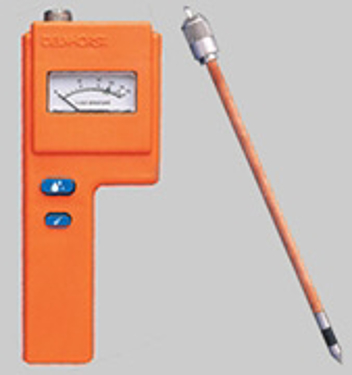 For Delmhorst meters and some probes. 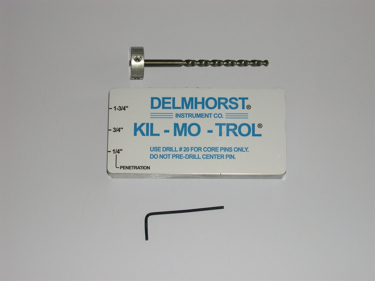 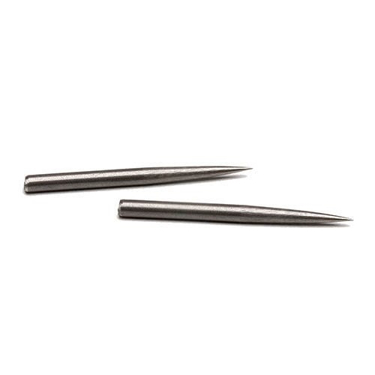  Delmhorst 305RET-0004/2 Contact Pin Retainer for 30-E/C Electrodes, Pack of 2. 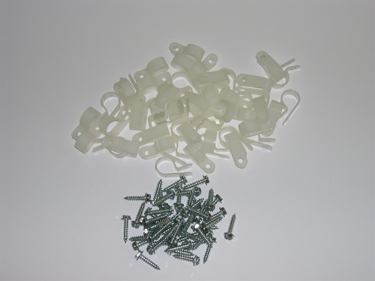 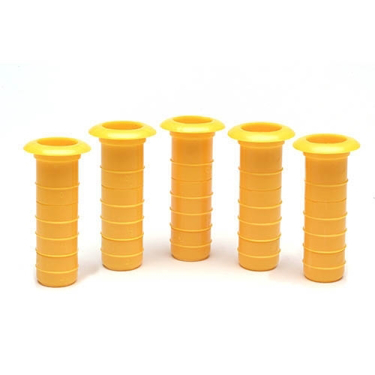 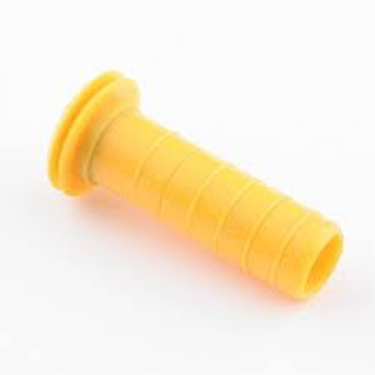 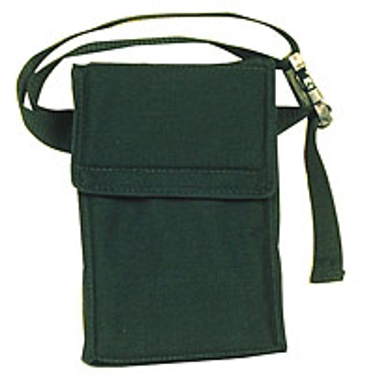 This product is used to secure an object within or against another object, normally not using a nut. 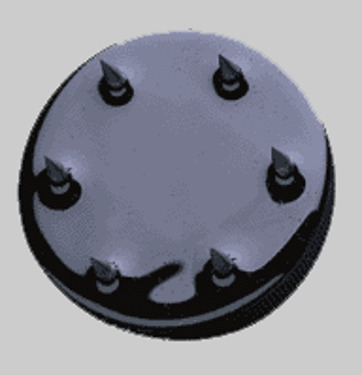 An alternate to the 496 pin for the 26-ES, the MC-31111 is a 38mm (1½”) insulated pin with 13mm (1/2") penetration. 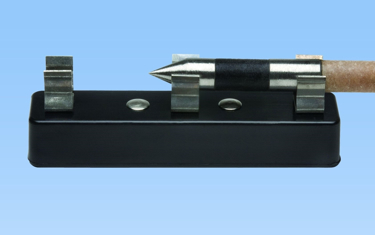 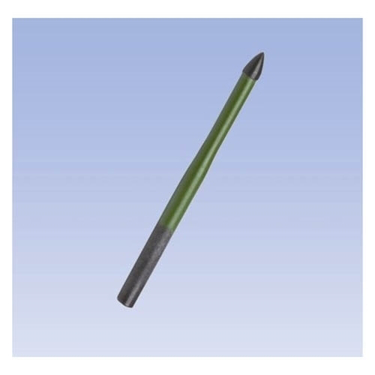 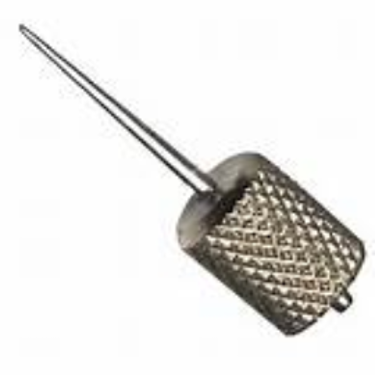 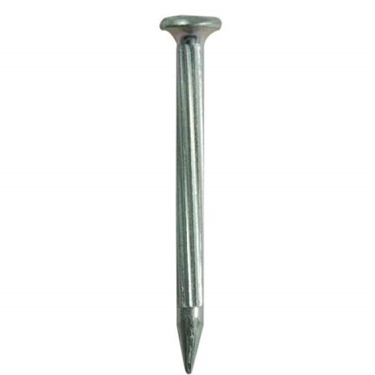 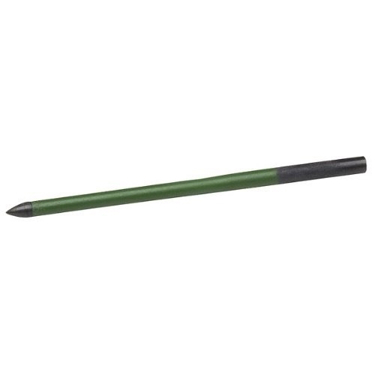 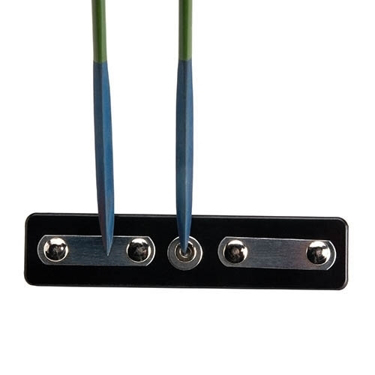 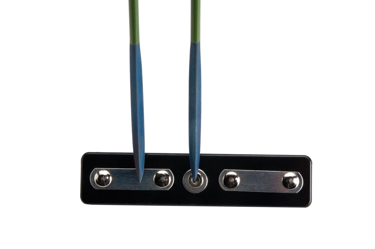 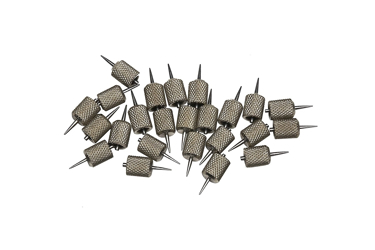 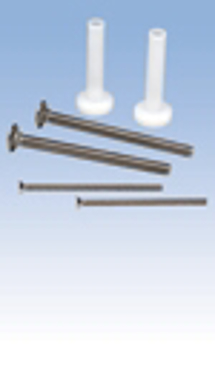 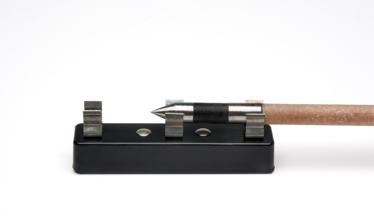 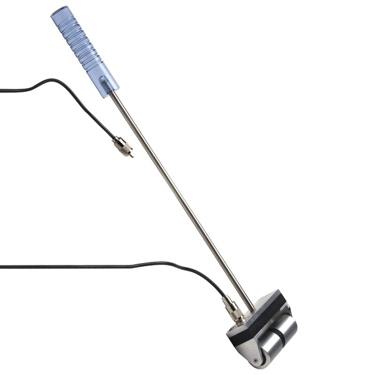 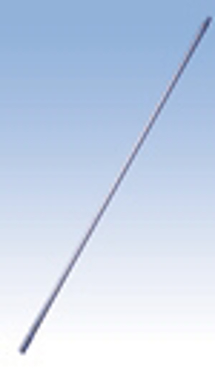 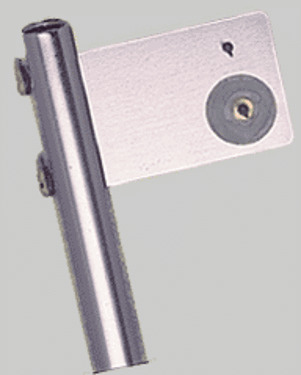 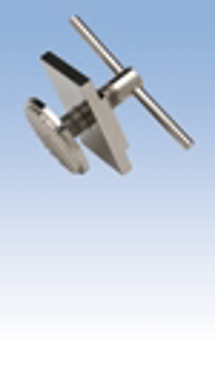 Uninsulated contact pin measures 1-7/16” and has 1/2" penetration.